A few weeks ago Tyndale sent a complimentary copy of Picturing Heaven to me to read and review. This is a new devotion book by one of my favorite authors, Randy Alcorn. This book contains short, one-page devotions, and there is a coloring page for each devotion in the book. This book has been encouraging to Adelaide and to me. I'm not one who likes to color very much, but my daughter loves it, so I knew this book would be a good one for us to do together. We enjoy reading the devotion and then talking together while we color the corresponding picture for that day's reading. 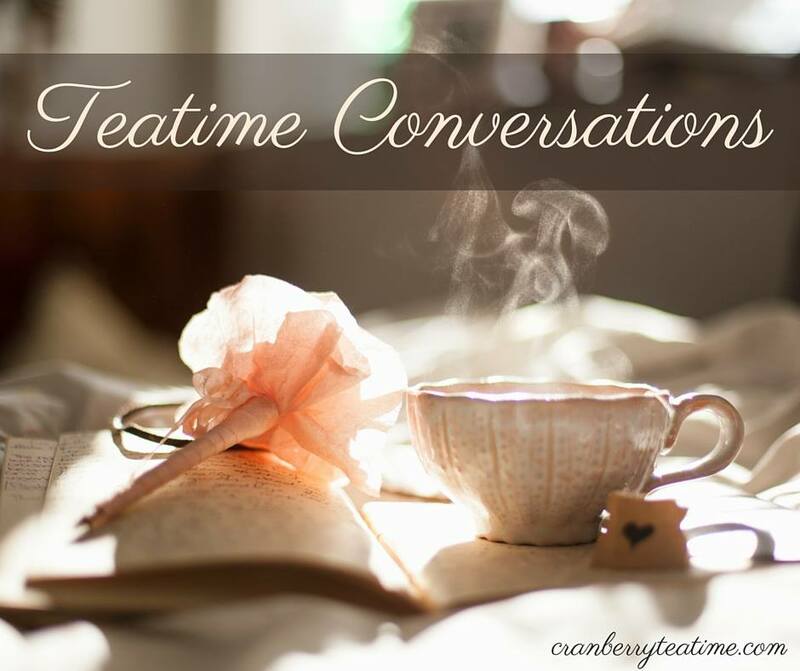 Heaven is a topic I have talked about often with my children over the years, especially when they were younger and first starting to grapple with the fact that they have a mom who is disabled and needs a lot of rest. 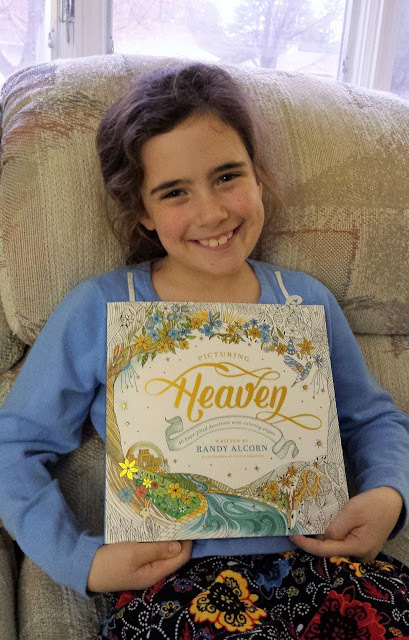 Picturing Heaven is a great way to learn more about Heaven and start more conversations about life, disability, hope, Jesus, and the life to come. Adelaide and I are enjoying reading and coloring our way through this book! 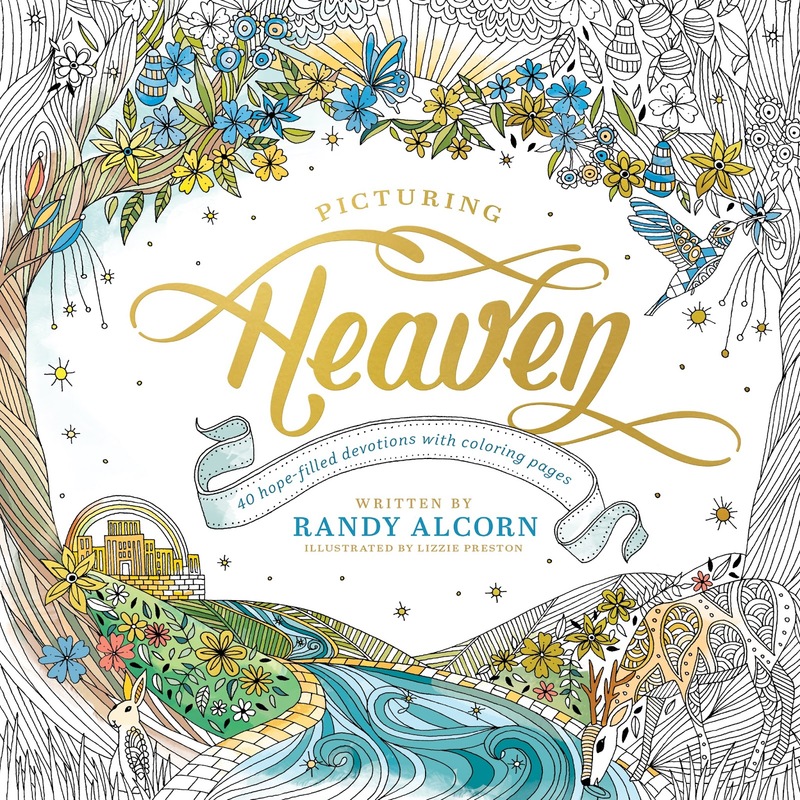 The devotions in Picturing Heaven will help you to set your mind on things above and encourage you to keep an eternal perspective in life. The book is filled with beautiful illustrations, and those who like to color will enjoy coloring the pictures as they reflect on what they have read. If you want to see more pictures from the book, you can look at a sample of the devotion book Amazon. 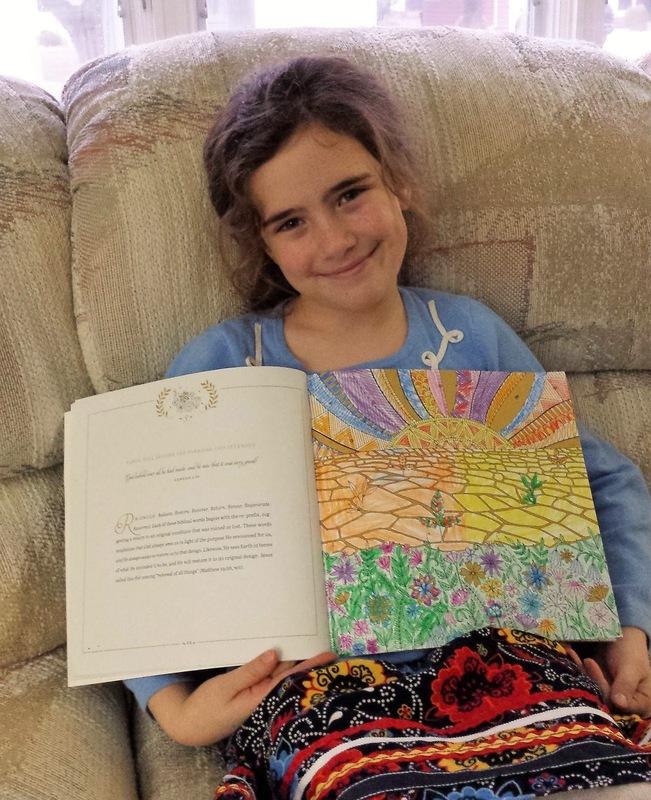 Or you can download a sample portion from Eternal Perspective Ministries website and do some coloring at home. Randy has written for many magazines, including EPM's Eternal Perspectives. He is active on Facebook and Twitter and has been a guest on more than seven hundred radio, television, and online programs.